Woody grew up in Richmond VA attending the Collegiate Schools and then graduating in 1984 from Blue Ridge School in St. George VA. He graduated from Denison University in 1988 with a B.F.A. in studio art – photography. Many of the photographs on this web site and the blog were taken by Woody. In 1993, after several years employed as a freelance photographer he found himself in a part-time job working with adults with developmental disabilities. The experience led him to develop and ultimately implement a creative approach to the employment needs of adults with developmental disabilities founding Red Wiggler in 1996. 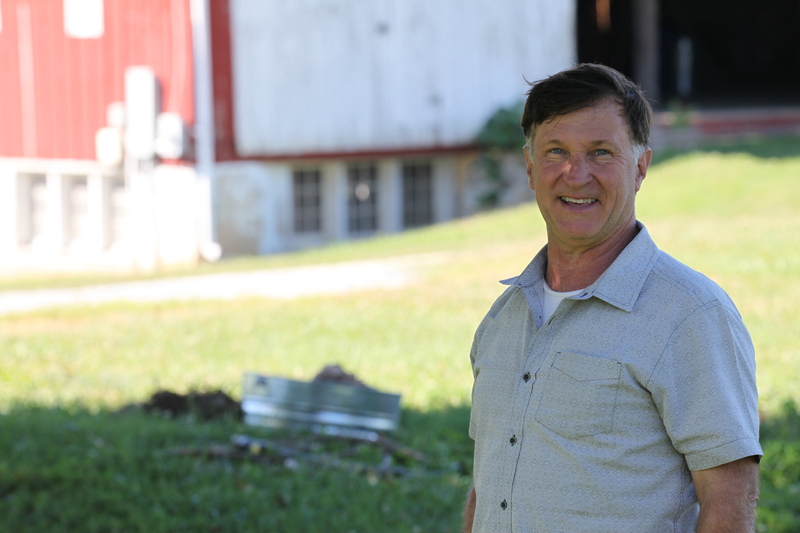 Today the Red Wiggler Community Farm exists to cultivate meaningful jobs that are an integral part of our community and a source of pride for the people who hold those jobs. Additionally, the farm runs a youth program in the summer, contributes fresh produce to area food banks and sells produce to more than 120 families in our Community Supported Agriculture program. Over 260 people with Developmental Disabilities and more than 500 youths are impacted by our programs annually. Woody also continues to work with his fine art- now mostly produced in response to his work at Red Wiggler.